The Loch Ness Monster is no longer alone. All over the world more and more lake monsters are making their presence known. 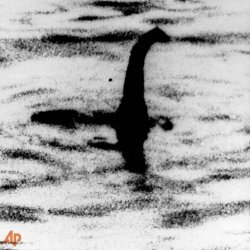 From China to Turkey to the interior of North America the claims of lake monster sightings are on the rise. And, what is more surprising is that not only are more people seeing strange lake creatures, the scientific community is no longer simply laughing these sights off. Research teams with very sophisticated equipment are investigating lake monsters all around the globe. The Oceanographic Institute of Bergen is using recording equipment to investigate underwater sounds in Seljordsvatnet, Norway, where Selma makes her home. Ogopogo was officially reported 80 years before the Loch Ness Monster. Chesapeake Bay is home to Chessie. Reports say that Chessie is somewhere between 25 and 40 feet. She has a body that is similar to a snake. One theory suggests that Chessie is actually a manatee. A manatee is a marine mammal that is closely related to elephants. The US Fish and Wildlife Services have been monitoring the numbers of fish and their life cycles in Lake Champlain. In 2008 their report stated that there were unexplained variations in certain fish populations. Locals blame Champ for these variations. Selma, lives in Norway in a deep Fjord, only 40 miles from Oslo. The first written record of Selma dates back more than 250 years. Selma is somewhere between 10 and 40 feet with a head that is shaped like a horse. A team of researchers set out to record underwater sounds and were surprised to discover that something in the depths of these waters was making a sound similar to that made by whales. Italy is the home of Lariosauro. He lives in Lake Como which is an extremely deep fresh water lake about 50 miles from the city of Milan. Lariosauro was named after Larioaurus Balsami, which was the name given to some fossil remains that had been found in the area more than a hundred years ago. The most famous picture of Champ was taken by Sandra Mansi, in 1977. She and her children were spending the day by the water when they spotted a mysterious creature swimming in the lake. Ponik lives in lake Pohehegamook. The lake is located in the Canadian Province of Quebec. Crews working on highway 289 in 1957 reported sighting a strange lake monster. The number of Ponik sightings have increased to the point where the local government has started issuing Ponik trapping and hunting licenses. The Van Lake Monster is one of the most controversial of all the lake monsters. Sightings of this creature only date back a few decades. The video film of this creature taken in 1997 has been under constant fire, and sceptics claim that this monster is almost certainly nothing more than a publicity stunt. In 1969 two fishermen on Loch Morar hit a strange creature while fishing. They claim that they shot at the beast and stuck it with paddles before it sank back into the depths. Locals call this creature Morag. The Loch Ness Investigation Bureau has included Loch Morar in its investigations. The monster of Lake Okanagan is commonly known as Ogopogo. The natives of the area called the monster N’ha-ha-itk. This entry was posted in Fun Trivia, Paranormal Trivia and tagged champ facts, champ moster trivia, champ trivia, loch ness monster, loch ness monster trivia, lochness sea monster trivia, Ogopogo facts, ogopogo trivia, Ogopopg facts, Ogopopg lake monster, Sea Monster Trivia, selma facts, Selma trivia by Jane. Bookmark the permalink.